Great job and compliments from a fellow blogger. That’s a really good idea! It looks very tasty. I just made miniature rhubarb pies and they’re incredible! I have to get more! I’m from Maine and my parents garden, so in the summer I have fresh seasonal produce being piled on me every few days. It’s a good thing it’s spring now because I have had quite enough root vegetables and apples. i keep seeing rhubarb everywhere but have no clue what it is! Ok, I’m going to admit that I keep coming back for two reasons, I love the recipes and images that are posted here. Aleta you are so talented and creative. The second reason is that I have a grade school crush on Aleta as well. You come across as such a free spirit, and you are beautiful. Ok, now that I am thoroughly embarrassed I will be going. This post looks delicious, I can’t wait to try it out this weekend. I love rhubarb and I’ve got some in my fridge as I type away. I think it’s time to use ’em up….and eaten with oatmeal, fine by my book! I don’t really comment that often (though I’m a regular reader), but that shot of the rhubarb slices is ridiculous. In a good way, obviously. Yummy!!! Can’t wait to try it – I love rhubarb but have never been brave enough to cook with it. Looks like it’s time to try! Love the blog, by the way! I’m a longtime lurker but haven’t commented yet, I don’t think. Keep up the good work! I adore rhubarb. I will have to go to the store asap and try this. I also adore asparagus, but yeah, Martha’s “recipe” is a cop-out. I’m moving to Boston from San Francisco in August, and your rants about the non-existence of year-round produce make me want to cry! I am very spoiled in California! Lovely rhubarb idea. I have some that I got in my CSA box that I need to use. Now that’s some pretty large rhubarb. rhubarb! fancy! the chopped shot is wonderful. I used to have rhubarb as a kid when my aunt would attempt to make rhubarb pies. She wasn’t a very good cook at all, and the rhubarb always stayed rather unpleasantly crunchy in her pies. I simply must give it a shot myself to see if I can do better. 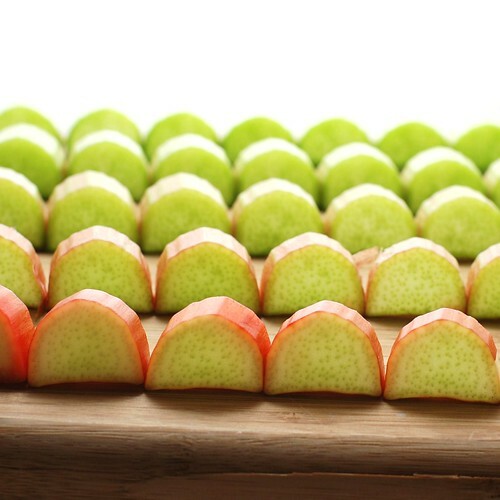 Love the little rhubarb slices all in a row… such a great shot! Love rhubarb, and also very much love the way your write! 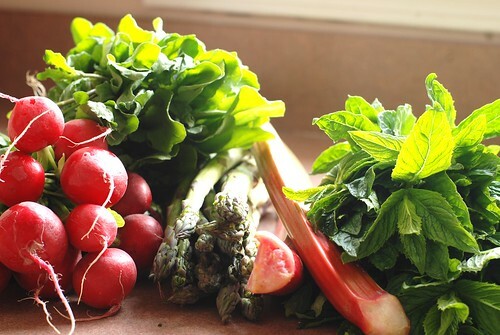 I just stumbled upon your site while looking for a healthier way to eat the rhubarb growing in my back yard, and will definitely be back! Great article…nice to read a recipe and have an accompanying note as this. I love rhubarb and always wonder wy more people do not grow it! It is so easy to grow, gives an abundant harvest, that you can use fresh, and then easily freeze the rest to bake and cook with it during the winter. 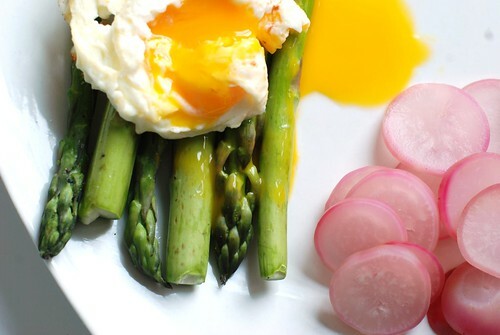 I have devoted my website entirely to everything rhubarb. Come and visit and try one of the hundred’s of recipes on my website. 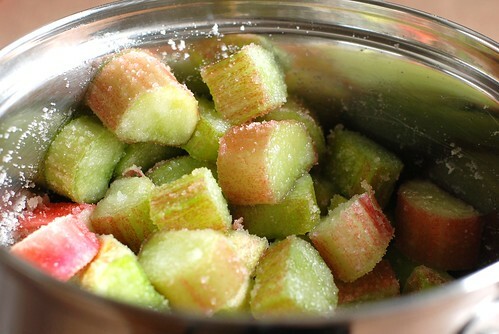 See how easy it is to freeze rhubarb too! I done other versions of this with fresh peach marmalade, or left over apple crips. This looks like a winner, too. I love rhubarb for its versatility. Can be dessert sweet, or entre savory with other veggies like onions, bell peps and jalapeno. 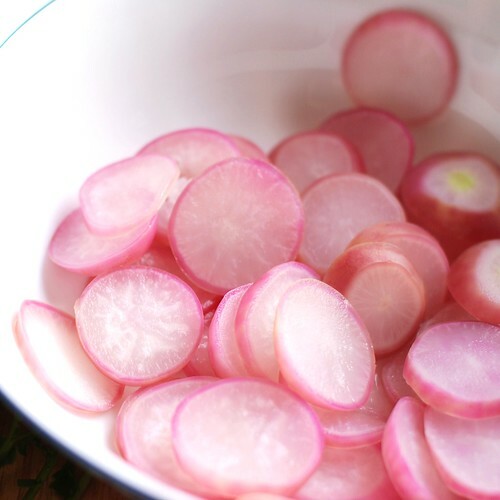 A new take on pico de gallo with…RHUBARB! I have one suggestion for this great recipe…use stevia to sweeten the yogurt. Works really well and provides no extra sugar…for diabetics and those looking to reduce calories. Thanks for this combination recipe, especially the addition of the yogurt for more protein. Oh. 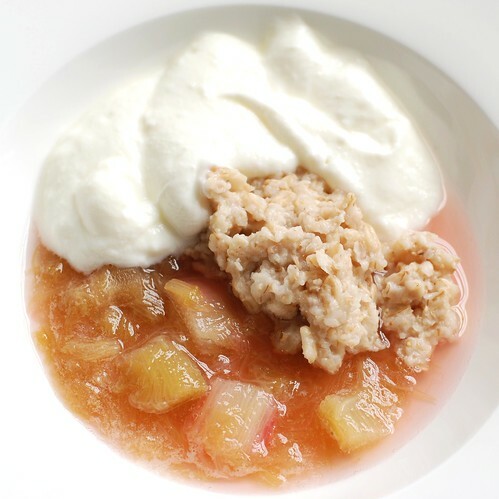 I named my version…Healthy Breakfast Rhubarb Parfait Cobbler. This is a great article! i really love it and enjoy reading your post! Well this is one of the great article i have seen. You should keep writing awesome stuff.